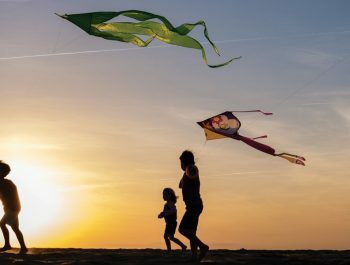 Celebrate summer with Kitty Hawk Kites and support the Outer Banks Bicycle and Pedestrian Safety Coalition at the 11th Annual OBX Watermelon Festival on Thursday, August 1 from 10:00 AM – 4:00 PM at Jockey’s Ridge Crossing in Nags Head. Enjoy games, food, face painting, tie-dye shirt making, arts and crafts activities, an inflatable waterslide, TONS of watermelon fun and more. OBX Watermelon Festival is free for guests to attend; however, the purchase of tickets is required to play and eat! 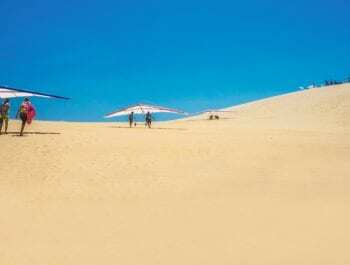 Compete in classic competitions like seed spitting and watermelon eating to win from a selection of awesome prizes including various Kitty Hawk Kites adventures, swag from Dunkin’ Donuts OBX, a hammock from Kitty Hawk Hammocks, and more. Enjoy lunch provided by Mulligan’s Raw Bar and Grille and frozen treats from Scoop’s Homemade Ice Cream.